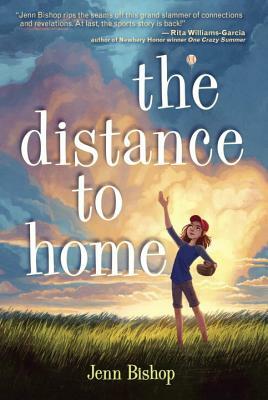 For fans of Lynda Mullaly Hunt and Rita Williams-Garcia, Jenn Bishop’s heartwarming debut is a celebration of sisterhood and summertime, and of finding the courage to get back in the game. Jenn Bishop is a former youth services and teen librarian. She is a graduate of the University of Chicago, where she studied English, and Vermont College of Fine Arts, where she received her MFA in Writing for Children and Young Adults. Along with her husband and cat, Jenn lives just outside of Boston, where she roots for the Red Sox. Visit her online at JennBishop.com.